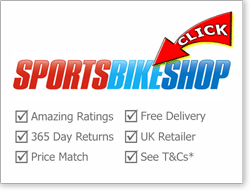 9 Best place to buy an HJC crash helmet? 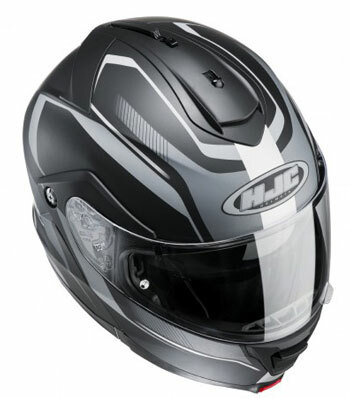 15 More HJC crash helmet reviews/info? 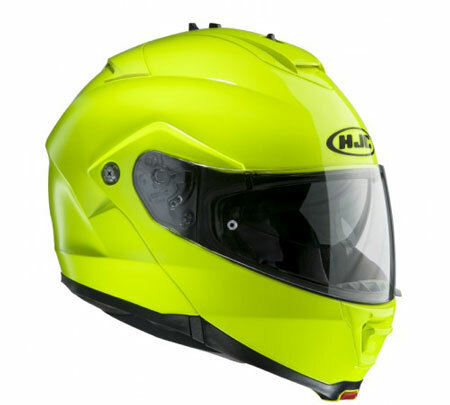 The HJC IS-Max II is a polycarbonate shelled flip-up/modular crash helmet with an integral sun visor. 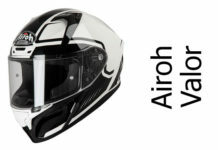 It’s on sale at a very attractive price-point for such a well-featured helmet – and it scored pretty highly in German magazine Motorrad’s review of a range of 16 modular helmets – coming in 5th place. 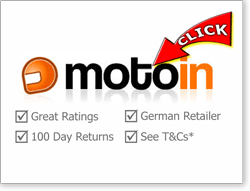 So let’s take a look at what features it offers and, most importantly, what owners think of it. We anticipated that the HJC IS-Max II might score 3 stars in the SHARP safety test because that’s the score every other HJC modular has achieved (to date). But as of Sept 2015, the IS-Max II has been rated as 4 stars for safety, which is a very good score. 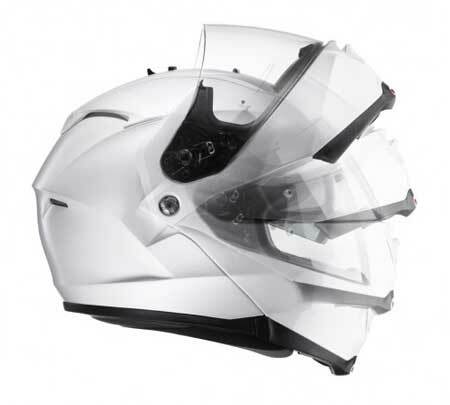 SHARP also noted that the chin guard stayed closed and locked in every test – which is outstanding and not something every flip-up helmet can manage by any stretch. 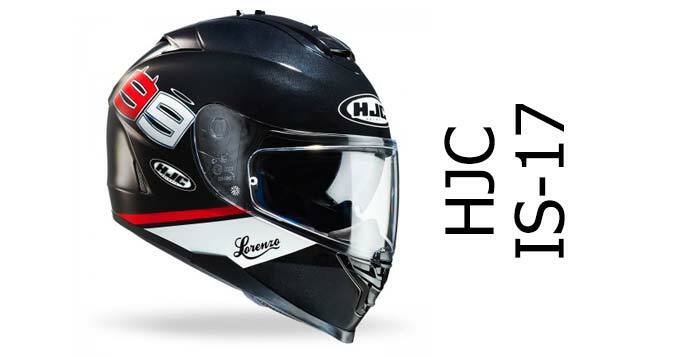 So the HJC IS-Max II is one of the best modulars in terms of outright safety – well done HJC and a good improvement on their previous helmets. The shell is manufactured in ‘Advanced’ polycarbonate – polycarbonate being the material of choice for cheaper helmets, mainly because it’s a cheaper substrate to buy and work with in the first place. Having said that, don’t let the fact that it’s polycarb put you off – some of the safest helmets around are polycarbonate. The shell is created in 2 shell sizes and is available in fittings XS-XXL in Europe (up to XXXXXL in the US though!). Even though the IS Max II has been wind-tunnel designed and tested, most owners seem to think it’s average to poor for noise suppression. 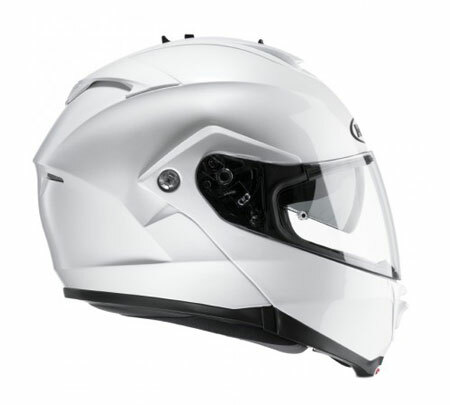 Which is about what you expect for most modulars as they tend to be noisier than the average full-face helmet. 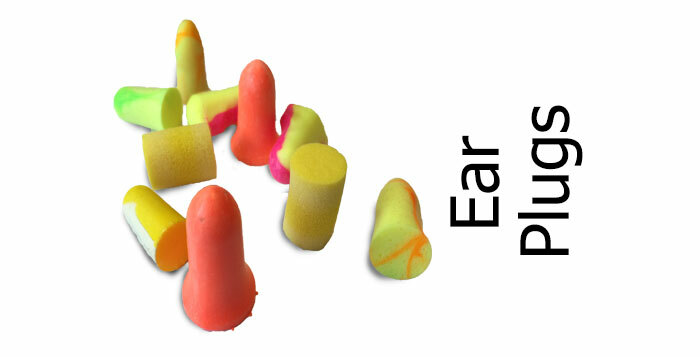 Of course, riding with ear-plugs in will make things just fine. The HJC IS-Max IIs ventilation is much improved over the old IS Max. There’s a large and easy to use toggle switch on the chin guard and a slider on the forehead – easy to find and use, even in gloves. Ventilation is provided by what HJC call ACS or their Advanced Channeling System, which is similar to most other manufacturers’ systems these days and includes vents that channel air through the shell and into channels within the polystyrene compression lining, through the comfort liner and straight onto the scalp. Stale air is then taken out through the rear exhaust vents – in this case, four of them. Owners are broadly happy with the ventilation – even in particularly hot climates, so all good here. There’s both an optically-correct main clear visor and a drop down integral sun visor fitted to the IS Max 2. The main visor is Pinlock-ready (though unfortunately isn’t supplied with a Pinlock in the box) but has a nice wide aperture for extra peripheral vision and a decent double-edged gasket seal against rain and wind ingress. The main visor also gives 95% UVA-A and B protection too. It’s secured to the helmet with HJCs Quickslide system – HJCs take on the quick-removal and tool-less visor removal system, and it works really well – great for whipping off your visor for a clean after a long run. There are one or two moans about how light the integral sun visor is – in that it could be a bit darker. However, owners do like the way the visor operates. There’s a 3-stage spring-loaded slider on the top of the helmet that allows you to drop the visor into position and then retract it at the touch of the spring-loaded button. As per usual, it’s not anti-fog so it can steam up in cold weather but that goes for every other sun visor on the market too (for now!). Side view of the gloss white Max 2 showing full extent of chin guard opening. There have been one or two murmurings about the chin guard not giving the right feedback to the rider that it’s locked in place (i.e. it doesn’t clunk loudly enough when you close it). So you may need to make sure you give it a solid slam to close it and a bit of a tug to check it’s locked in place until you get used to it. 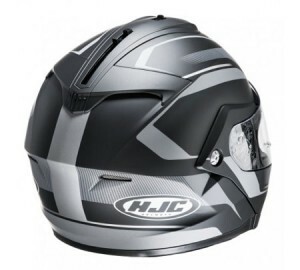 However what’s nice about the HJC IS-Max 2 is that it only requires one button press to open up the chin guard so it’s easy to open with just one gloved hand, and that this latest version closes against metal pegs compared to the plastic pegs of the previous model – which should reduce the chance of the chin guard opening in an accident. No other problems are reported with the chin guard. Owners widely report that the IS-Max 2 is a comfortable helmet. 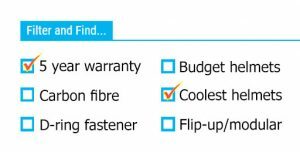 When you buy one, you may find that it requires a fitment size up as a number of owners report having to return it for a size larger (so make sure you buy from a retailer that has a no-quibbles replacement policy) but once you’ve got the right size, you should be happy with the level of comfort offered by the IS Max 2. Rear view of the IS Max 2 Elements showing sun visor slider and rear exhaust vents. Internally, the removable and washable liner is both antimicrobial and moisture-wicking (like those found inside most lids these days) but it also has a glasses-groove making the helmet more comfortable for glasses-wearers and easier to slip them on/off when wearing the helmet. Cheek pads are independently removable and available in 3 sizes to help you tailor the fit – and while there isn’t a chin curtain provided in the box, they can be bought separately if you like the draft-excluding and noise-cancelling effect they can offer. The IS-Max II isn’t one of those helmets that come in tons of colour schemes. There’s the usual gloss/matt black and gloss white, together with a hi-vis fluorescent green. In addition there’s the Elements design scheme – that comes in 5 colours – some shown on this page. The HJC IS-Max 2 does have a couple of generous pockets for speakers and should work well with most third party communicators. Owners also say that its aerodynamically-sculpted shell means that the Max isn’t susceptible to buffeting. 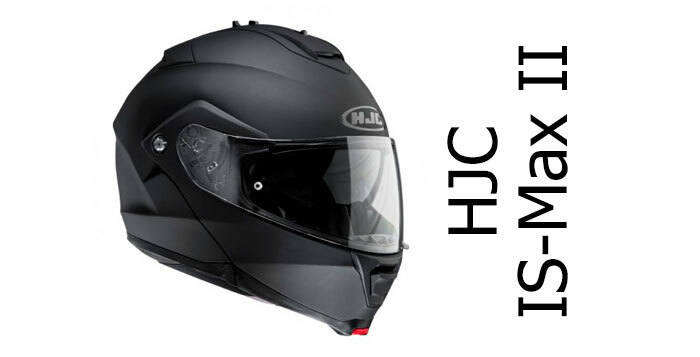 HJCs IS-Max II is a great modular crash helmet. It’s reasonably priced, well built and is really user-friendly to live with. 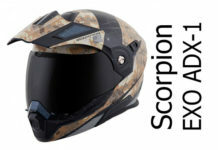 It has an easy-to remove main visor, easy to operate sun visor and chin guard and is comfortable and well-ventilated. Like many modular lids, it can be a bit noisy and it’s not the lightest helmet around. But it scores highly for safety (as tested by SHARP), and at this medium price point, it offers a good mix of performance and value and is well worth a look. There are some great alternatives worth checking out. If you’re after a modular/flip-up helmet, then you might want to take a look at our ‘top 5 modular helmets‘ list. Alternatively, the Caberg Duke is a SHARP 5 star safety rated modular that ticks all the right boxes. It’s light and well priced too. Or how about the Lazer Paname for something a little more exclusive? It’s 4 star safety rated, well built and has a built in sun visor as well. 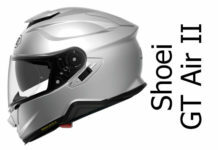 More HJC crash helmet reviews/info? Visit our HJC page to quickly browse all our HJC helmet reviews including all the latest safety-rated full face and modular/flip up helmets. A well-featured, safe, flip-up crash helmet with built-in sun visor. Owners love its comfort and value for money. And who can blame them. At this price, it's well worth a look.